Our facilities services teams make every client site safe and secure. Henrique, the account manager at a client site in Boston, works tirelessly to instill a culture of safety amongst his staff. And his hard work has been paying off: he and his team have gone over 1,100 days without a safety incident at the site. Meet some of our amazing team members. Manuel is a functions porter at the client site, and he works directly with the client to make sure that office space and conference rooms are prepared to their exact specifications. Manuel’s effort hasn’t gone unrecognized. He’d been the recipient of six Spot Awards, which are a prestigious internal award. Socrates is known around the facility for his walks through the building, which he does two to three times a day. He sees these walks as an opportunity to talk to the staff, to give them encouragement and feedback, and to learn how their work is going. Who takes care of your facility? 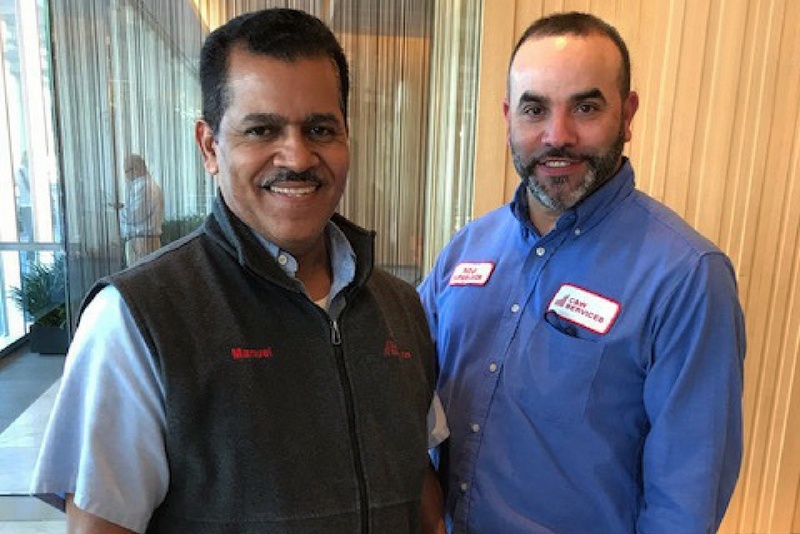 Henrique, Manuel, and Socrates are a few examples of how our team’s culture is the backbone of our service delivery success. We pride ourselves on delivering a broad portfolio of services, developing and empowering our people, and defining a new status quo. Get inspired and read more stories about our amazing employees. Let’s connect about how our highly engaged team can help you.